How do I buy a Discovery Point Franchise? If you're seeking a fulfilling career, one that is both personally and financially satisfying then becoming a Discovery Point Franchisee is well worth pursuing. Discovery Point is ranked in 'Entrepreneur Magazine' in their 2012 TOP 500 list, as well as by 'RED HOT Franchise' in their TOP 100 listing, which includes franchises of all types. Discovery Point is unlike any other opportunity available to own your own business. As a childcare franchise owner, you will have the satisfaction of working with children and joining an education franchise group that is a leader in the childcare industry and is committed to your individual success. We appreciate your interest and look forward to hearing from you. 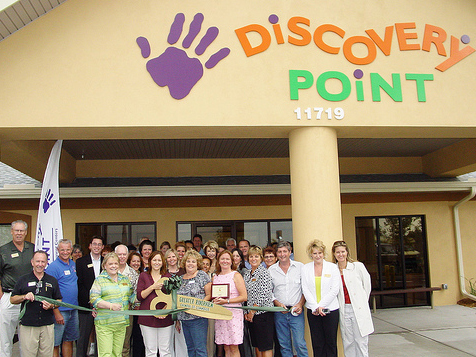 Learn more about joining the Discovery Point franchise family. Open Discovery Point in any of these available states: AL, AR, FL, GA, KS, KY, LA, MS, MO, NC, OH, OK, PA, SC, TN, TX, WV. When the first Center was opened in 1988, we never planned to have dozens of preschool franchise centers bearing the Discovery Point name. The goal was to provide the best child care possible. Our goal has never changed. Focused on fulfilling the need for quality child care, we put our expertise in education, construction, and business to work. With our commitment and capacity to address the critical requirements of today’s busy families, Discovery Point Franchise opportunity soon became a reality. We do not grow our franchise group just to increase numbers. We want to be sure that our franchisees are well supported and that each owner has the same passion for quality child development as we do. 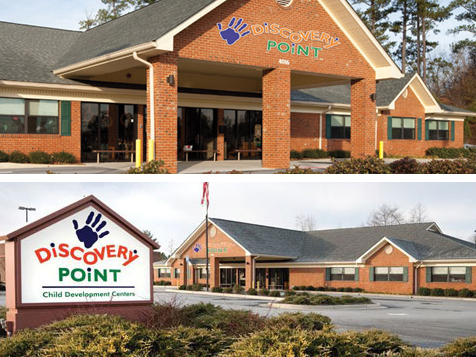 Unlike other child care franchise opportunities, Discovery Point is with you every step of the way, from construction of the Center to operational licensing, and unparalleled support after your center is open for business. We provide you with a turnkey business package, simplifying the start-up process for you, which allows you to focus on marketing your business while we take care of the heavy lifting. We don’t just want you to buy a franchise, we want you to be successful. From the moment you are awarded a Discovery Point Franchise, you will have a team of experts ready to guide you from site selection and construction through your opening day. The Operations Team will provide you with a four-week training program and assistance through the child care licensing process, but the support doesn’t end there. The Franchise Team further guides you through your Center start-up and grand opening, and then continues to provide operational support for your Center every day thereafter. All Discovery Point franchise owners are fully trained and supported in using our highly respected Creative Curriculum, a practical, developmentally appropriate learning program that reflects the most innovative thinking. Unlike traditional daycare centers, Discovery Point’s curriculum provides all of the tools to encourage exploration, follow a daily routine schedule, and also produces creative interactive environment. 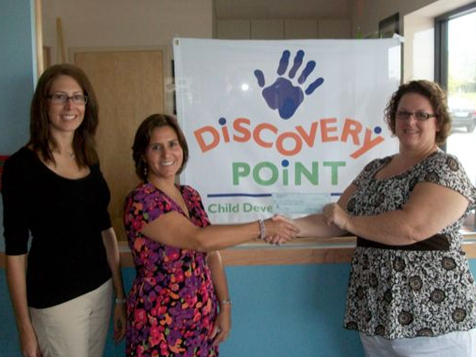 We believe that Discovery Point’s success in the childcare business depends upon the success of each franchisee. Our proven business model includes everything you need to know about starting a daycare business and operating it as a successful Discovery Point Center. Our turnkey package is a vital component of the Discovery Point Advantage™. The core values of Discovery Point Franchising place us a step above the rest. Rooted in our philosophy is that we believe our company, and each educational franchise, has a positive impact on your children and their future. Discovery Point is not currently active in our directory, but here are some other recommended selections for you to explore.